I am an enthusiastic and friendly tutor offering one-to-one sessions in Urmston. I tutor primary school children in maths and English. I also tutor children towards private school entrance. I started tutoring in 2014 and since then I have guided lots of children. I have tutored over 30 children, all of different ages and abilities. I realise that each child is different and I teach them according to their ability. I tutor children from Reception to Year 6 and I understand the needs of each child. I am a very patient and positive person and I love working with kids. I believe in the saying " Practice makes perfect" and all sessions includes worksheets and homework for children to complement their learning. Four of my students got a maths award in their schools in the first month of starting their tutoring session with me. As a mother of two children, I understand the difficulties of motivating children but through years of experience, I have been able to develop a method of teaching children where they are self motivated and willing to learn. My first experience was teaching my kids, I really enjoyed the experience of teaching and guiding them. When they performed well in schools, I decided to start tutoring as I could help and guide other children in academics. I enjoy working with children and teaching is my passion. I started my tutoring in October 2014 and it was a wonderful experience working with children. I have gained a lot of experience teaching and I have learned that each child is different and their learning abilities are different. I teach each child differently and work according to their abilities. My session includes attractive worksheets and homework given to children complement their learning, outside of the sessions. I have also worked in schools across UK and this gave me an extra experience to assess and teach children. Looking forward to guide children to success. Private tuition takes place in small groups or one-to-one, students are able to focus better and are taught in a way that specifically meets their own unique needs. Because tutors develop a more personal relationship with their students, they are able to see and cultivate the potential within them.This gives students increased confidence in their studies. Superb person and very talented, approachable tutor. My daughter has thrived with Padma's help and we owe her a great amount of gratitude. My daughter has thrived with Padma&apos;s help and we owe her a great amount of gratitude. Padma is excellent with our son. He has been making great progress and he enjoys his weekly sessions. Padma has provided great advice and we are very pleased with the service she provides. My daughter really enjoys her lessons with Padma! 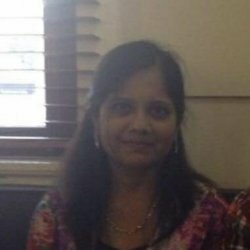 Lovely tutor and very friendly!